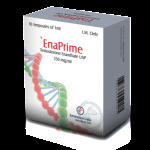 Categories: Injectable, Trenbolone enanthate. Tag: Alpha Pharma. TRENBOLIN vial (Trenbolone enanthate) a is an oil based steroid possessing high androgenic properties. Trenbolin is a very powerful steroid that was originally manufactured as pellets that were administrated beneath cattle skin. It was later to be brewed by underground labs for use by anabolic steroid users. Trenbolone has never been approved by the FDA for use in humans, and the drug is commercially used as vetinary finaplex pellets. 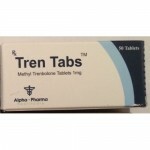 Trenbolin is now a very popular steroid due to its very strong and potent effects. A highly anabolic and androgenic steroid, Trenbolin can be a very harsh steroid for users that are prone to androgenic related side effects, and even those who have previously not been. Trenbolin has been said to bind to the androgen receptor at a rate as highly as three times that of Testosterone, so we can strongly expect androgenic related side effects to result from its use in users that are prone to such side effects. Acne can be expected in prone users, and those who often have a break out of acne from use of other steroids, such as Testosterone products, may wish to think about running a different compound. Accutane is sometimes taken with Trenbolone to combat the acne. Trenbolone will almost certainly speed up male pattern baldness (MPB) due to its very strong androgenic effects, and therefore will not be a suitable steroid for those who are prone to MPB and wish to avoid it. Sweating and a decrease in cardiovascular capability is often widely reported with Trenbolin usage. Trenbolone is not really suitable for those who participate in sporting activities that require cardiovascular fitness. Sweating is also reported greatly at night time, with insomnia and strange dreams. Water intake should be efficient when taking Trenbolone due to water loss. Although TRENBOLIN vial (Trenbolone enanthate) does not aromatise, in the presents of oestrogen, Trenbolin can manifest progesterone related side effects, such as gynecomastia. This should be kept in mind when stacking with other androgenic anabolic steroids, such as testosterone. Trenbolone is also very harsh on the HTPA function, and recovery is often said to be harsher compared to other steroids. The use of HCG is often advised for this reason. TRENBOLIN vial (Trenbolone enanthate) (tren) cough is a widely experience side effect from Trenbolin usage, but the cough has also been reported in the use of other anabolic steroids. The cough itself is not a pleasant experience, usually starting with a strange taste in the mouth followed by a strong and uncontrollable cough. What causes tren cough is a much disputed topic in the bodybuilding community, with claims of it being caused the amount of benzyl alcohol used in its production by the underground labs, or by the oxidised partials that get into the blood stream of the user upon administration of the Trenbolin. 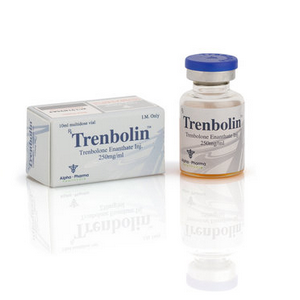 Users can expect rapid gains in muscle size and strength from the use of Trenbolin. 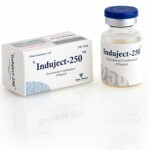 The steroid is often used in cutting cycles due to its ability to cause hardening of the muscles, and positively changing a persons body composition. Trenbolone is also said to be responsible for some level of fat loss, but we should not rely on the compound for this benefit. 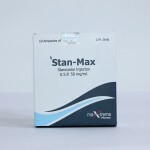 Novice users may wish to use the faster acetate ester due to its faster half life, and therefore the ability to cause a quicker drop in blood levels upon ceasing the drug in case any undesirable side effects become present. 75 mg -100 mg each other day (EOD) is common, and is often stacked with Testosterone Propionate. Greater dosages is sometimes administrated by more advanced users, often 500 mg + per week. Due to its high androgenic characteristics, Trenbolin is not really a suitable steroid to be taken by women. TRENBOLIN vial (Trenbolone enanthate) is a very powerful and potent androgenic anabolic steroid produced by many respected underground labs. For those who can handle the harsh side effects it can be a very effective drug, possessing the ability to drastically change a users body composition.